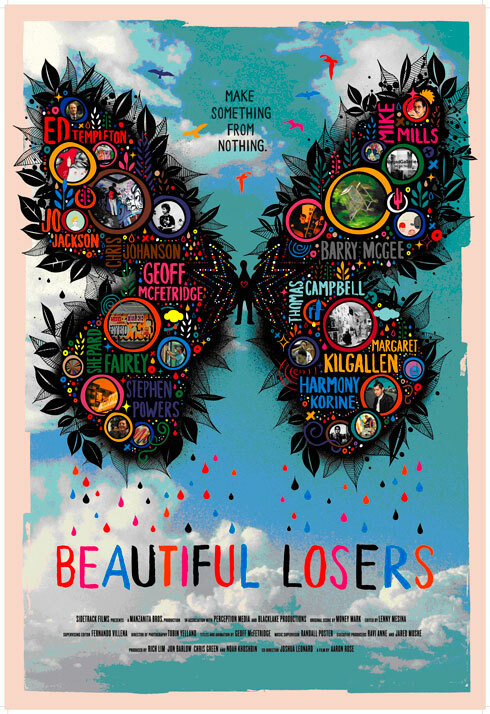 I watched this documentary last night called the beautiful losers. If you haven’t heard of it, its about these rebel artists who change from graffiti artists to established artists who do alot of work for advertisements and the media. They also opened their own gallery and basically tried to, in their terms, “make it without any help of the art institutions.” I thought it was interesting in terms of what we talked about in class yesterday…they started out a punk street kids and were all about the rebellion, yet they ended up in pepsi adds. They basically said they just wanted to get their work seen, so they stopped caring about the anti-institution vibe. None-the-less, they became a part of the controlled art establishments they started out hating. just wanted to reiterate the circle! A lot of people seem to be trying to make it without the art institutions.